Professor Emeritus E. Stewart Lee, 1934-2013. 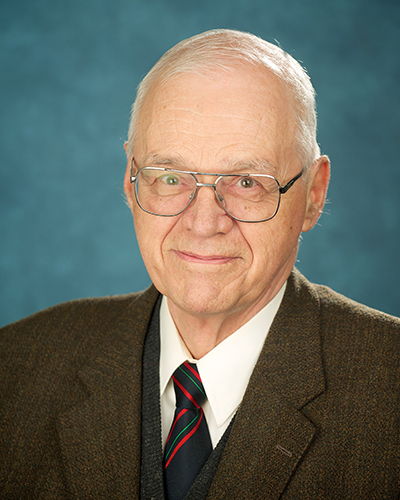 It is with deep regret that we announce the death on Oct. 15, 2013 of Professor Emeritus Ernest Stewart Lee. E. Stewart Lee, Stewart to his friends, was born in Montreal on June 7, 1934. He earned a Bachelor of Engineering degree in Engineering Physics and a Master of Engineering degree in Electrical Engineering at McGill University, in 1956 and 1958 respectively. He completed his doctorate in 1965 at the University of Toronto under the supervision of Professor Gordon R. Slemon, and was appointed as an Assistant Professor in both Computer Science and Electrical Engineering in 1966. He was promoted to Associate Professor in 1967. Professor Lee spent a sabbatical year as a Visiting Professor at the Imperial College of Science and Technology in London, England in 1973-74, before becoming a full Professor in both Electrical Engineering and Computer Science in 1975. Professor Lee was a dedicated teacher and researcher whose influence on both ECE and Computer Science Departments is still felt today. He was enormously influential in incorporating computer engineering into what had historically been a purely electrical engineering department, and played a crucial role in creating the Computer Systems Research Group (CSRG) in 1968, uniting computing investigators in Electrical Engineering and Computer Science. He served as its founding chairman from 1969-73, and again from 1977-80. As a result of its success it became the Computer Systems Research Institute (CSRI) in 1984, and continued into the 1990s. Along with his colleague the late Professor Peter Boulton, Professor Lee was instrumental in establishing computing facilities, first in Electrical Engineering and then extending to the Faculty, becoming today’s ECF. In addition to creating an extensive computer room in the Sandford Fleming building, they were responsible for the first IBM 360 computer at the University, a Model 44. Professor Lee’s research covered a wide range of topics in the area of computer software and computer networks, including network architecture, protocols and security. Perhaps he will be best remembered for his collaboration with Professor Boulton resulting in the invention of Hubnet – a new conceptual structure for a fibre-optic network capable of operating at very high speed. A pilot model of Hubnet was built and used in the ECE department for many years, operating at 50 Mbits/sec, at the time the fastest operating network anywhere. Professor Lee held many important administrative positions at the University, including being a Member of the Governing Council from 1977-81 and the Speaker of the Faculty Council from 1984-88. He was elected as a Chartered Engineer and a Fellow of the Institution of Electrical Engineers, a Fellow of the British Computer Society as well as CGRT. He was awarded an M.A. from Cambridge University, and later accepted an appointment as a Professor at Cambridge University. His many graduate students, from all over the world, became friends and continued to regularly visit both in Canada and abroad. Throughout his career Professor Lee was much sought-after as a systems and software consultant, advising such clients as IBM, Marconi-Elliott Computer Systems Ltd., the Department of National Defence, Toronto Credits Ltd., and Metropolitan Toronto’s Ambulance Services and Police Commission, among many others. Professor Lee died suddenly at home in Orillia. A public memorial will be held at the University of Toronto’s Faculty Club on Friday, Nov. 29, 2013 from 2:30 – 5:00 p.m. The address is 41 Willcocks Street, Toronto, Ontario M5S 1C7. Flags on all three campuses will be lowered to half-mast that day in honour of Professor Lee.